Be the first to share your favorite memory, photo or story of Frank "Shep". This memorial page is dedicated for family, friends and future generations to celebrate the life of their loved one. 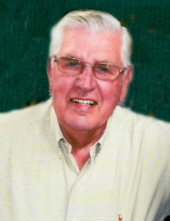 Frank “Shep” Shepherd, age 86, died Sunday, March 17, 2019 at his home in Palmer Township, PA after a long, courageous battle with cancer. Born May 7, 1932 in South River NJ, Frank was the son of the late Julius and Mary (Kanc) Shepherd. He grew up in East Brunswick NJ and moved to Holland Township NJ (Hunterdon County) in 1969 where he raised his family. In 2016, he and his wife, Joyce, moved to Palmer Township, PA.
Frank was gifted with natural mechanical abilities and he joined the US Marine Corps in 1952 serving during the Korean War as an aircraft mechanic until his discharge at the rank of sergeant in 1955. Airplanes were at the center of Frank’s life for many years. At the conclusion of his military service, Frank was hired as an airline mechanic with Delta Airlines. Pursuing his goal to become a commercial airline pilot, Frank worked for many years to gain experience and ratings. In 1979 he realized his dream, becoming a Captain and commercial pilot for the former Eastern Airlines. He was later hired by the former Trump Shuttle and then retired with the USAir Shuttle. He was a member of the Somerville Hangar of the pilot group, Quiet Birdmen. For many years, he owned a Cessna 182 with various partners. Frank enjoyed flying recreationally well into his seventies including a particularly memorable trip in 2001 to Alaska. Frank’s other passions included raising Polled Hereford cattle, collecting stamps, taking photographs of family milestones, and restoring automobiles, including his 1939 Ford Convertible Sedan which he completed with his son, Scott. Frank’s faith and community were very important to him. He was a parishioner of St. Edward the Confessor Roman Catholic Church in Milford NJ for 47 years, where he was a founding member of the Knights of Columbus and served as a Eucharistic Minister. He became a parishioner of St. Jane Frances de Chantal Church in Easton PA after moving to Palmer Township. He also served on the Holland Township Board of Adjustment for many years. Frank is survived by his wife of 51 years, Joyce (Zsoldos) Shepherd, his daughter, Kimberly Shepherd of Cleveland Heights OH, his son and daughter-in-law, Scott and Tara Shepherd of Holland Township NJ, his daughter, Christina Shepherd of Boston MA, his granddaughter, Alexandra Shepherd-Boike of Cleveland Heights OH, several cousins, and his special cat, Barnabas. A Mass of Christian Burial will be celebrated at 11:00 am on Friday, March 22, 2019 at St. Edward the Confessor Church, 61 Mill Street, Milford NJ. Interment with Military Honors will follow in St. Magdalen Cemetery, North Main Street, Flemington NJ. Calling hours will be Thursday evening from 5:00 to 8:00 pm at Holcombe-Fisher Funeral Home, 147 Main Street, Flemington NJ. In lieu of flowers, donations in Frank’s name may be made to St. Edward the Confessor Church, 61 Mill Street, Milford NJ 08848 or to St. Luke’s Hospice, 801 Ostrum Street, Bethlehem PA 18015 or to a charity of the donor’s choice. For additional information or to leave an online condolence, please visit www.holcombefisher.com. "Email Address" would like to share the life celebration of Frank "Shep" Shepherd. Click on the "link" to go to share a favorite memory or leave a condolence message for the family.